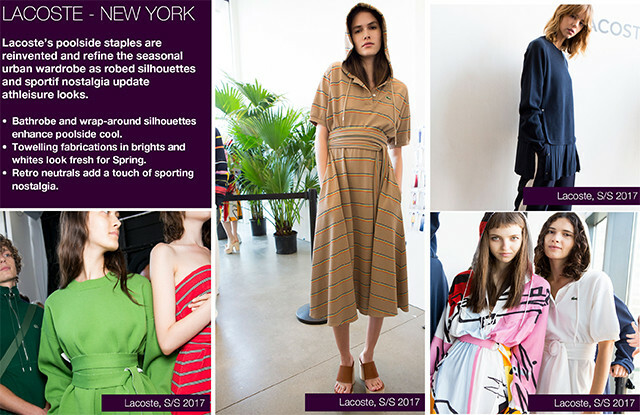 A first look at top four essential catwalk collections that will be inspiring the Spring/Summer 2017 season. WeConnectFashion readers get an exclusive insight as identified by the Trendstop team. 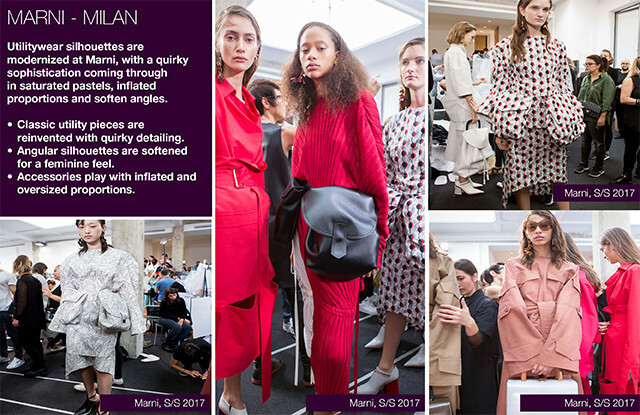 A cool, clean take on feminine fashion is seen in the fluid, body conscious silhouettes, softened utility pieces and pastel colors of Anya Hindmarch in London and Marni in Milan. The modern urban wardrobe is reinvigorated in New York with Lacoste’s poolside infused athleisure and Acne’s globe trotting traveler looks seen in Paris. Acne’s modern nomad mixes authentic dress and ethnic prints with a comforting, care-worn aesthetic that lends a global vision to urban apparel. Africa and Asia inspire summer’s prints and patterns. Traditional dress gives an authentic feel to silhouettes. 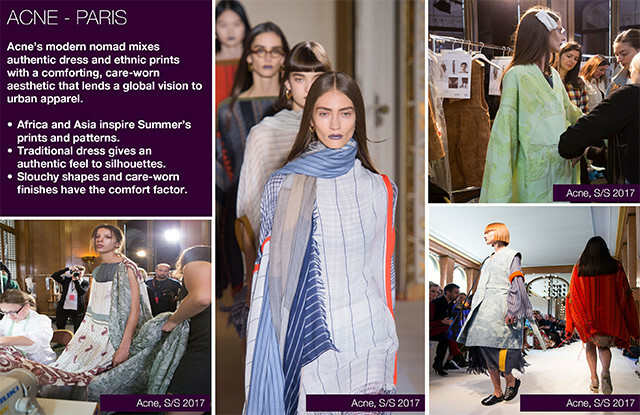 Top image courtesy of Trendstop: Acne S/S 2017 Collections. Lacoste’s poolside staples are reinvent and refine the seasonal urban wardrobe as robed silhouettes and sportif nostalgia update athleisure looks. Bathrobe and wrap-around silhouettes enhance poolside cool. Towelling fabrications in brights and whites look fresh for Spring. Utilitywear silhouettes are modernized at Marni, with a quirky sophistication coming through in saturated pastels, inflated proportions and softened angles. Angular silhouettes are softened for a feminine feel. Accessories play with inflated and oversized proportions. 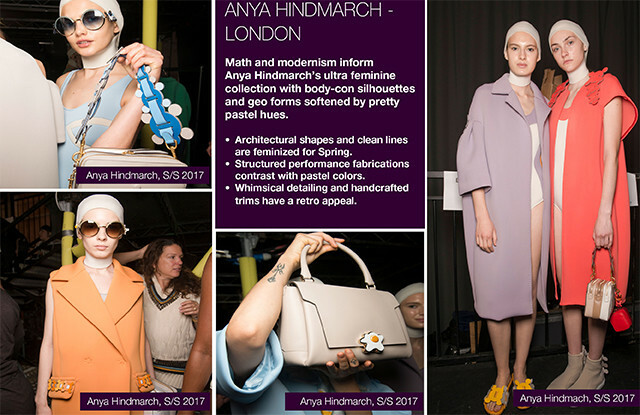 Math and modernism inform Anya Hindmarch’s ultra feminine collection with body-con silhouettes and geo forms softened by pretty pastel hues. Architectural shapes and clean lines are feminized for spring. Structured performance fabrications contrast with pastel colors. Whimsical detailing and handcrafted trims have a retro appeal. WeConnectFashion readers can get get a taste of Trendstop’s expertly curated reports with a with a special early bird offer. Our Catwalks Overview Presentation, featuring the most directional designers, and key catwalk collections. Click to receive 50% off. 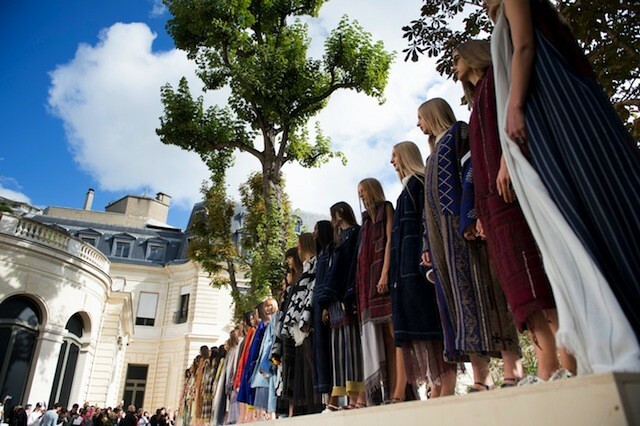 The Trendstop catwalk team brings you a behind-the-scenes look at the latest shows and most influential designers from New York, London, Milan and Paris. Our expertly curated and inspirational seasonal reports identify and develop the key catwalk directions, evaluating each individual trend’s commercial value and longevity over the coming seasons and ensuring optimum analysis for informed decision making.